I've read hundreds of books to my kids. Some books I feel like I've read hundreds of times. 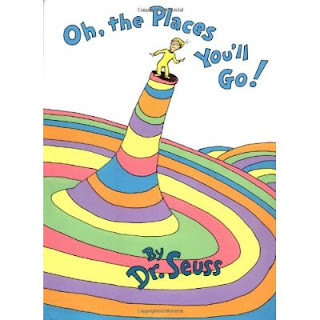 One of my favorite books is "Oh, the Places You'll Go!" by Dr. Seuss. I would rank this book in his top three, right up there with "The Cat in the Hat" and "Green Eggs and Ham". It was the last book he wrote before he died, being published in 1990. And it is unlike many of his previous books. The book appears to foretell the travails of celebrity and warns of hubris and conceit. "Oh, the places you'll go! There is fun to be done! with the whole wide world watching you win on TV." Have a happy and prosperous new year (with or without health care reform).